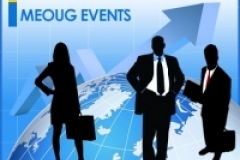 Enhance your experience by interacting with over 300 Oracle professionals, senior experts and speakers. 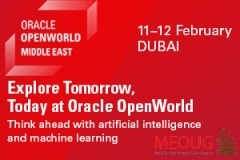 MEOUG MAJLIS 2016 is an immersive experience where Oracle Users Community will connect with 300+ Oracle End-Users, Oracle professionals, senior experts and speakers. An exciting day of Oracle Roadmap, User Case Studies, SIG meetings and Round table. The Middle East's Leading ICT Event focus on Oracle Technologies.